The Z-Chair from Pride is one of their lightweight and versatile power wheelchairs. It features an easily-removable battery pack, and disassembles into four manageable pieces so that it can easily be transported. It features twin motors for top performance traction and precision handling. 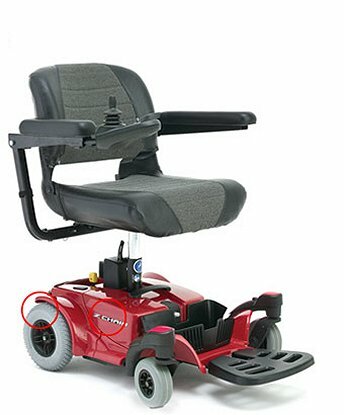 The Z-Chair can reach a top speed of 3.5 mph, and a battery charge will take you 10 miles. This model has a 23” turning radius and is suitable for up to 250 lb weight capacity.